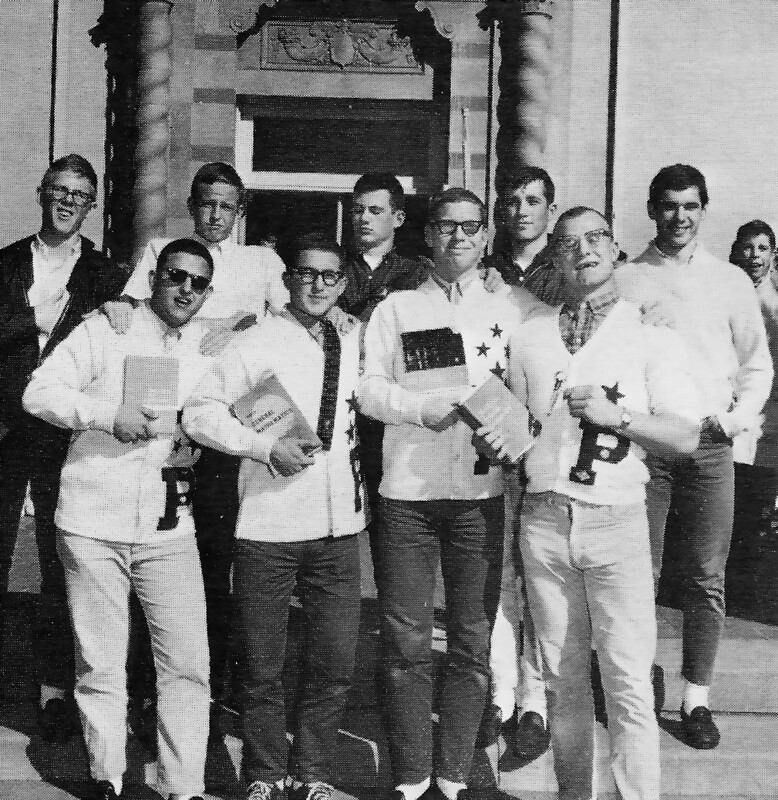 Welcome to the Official Website of the Paly Class of 1964! Palo Alto High School cheerleaders lead a march commemorating Paly's centennial, in which teachers and students walked from the school's former location at Channing Avenue to its current location at Embarcadero Road and El Camino Real. Photo by Veronica Weber. More than 200 current and past Palo Alto High School students recreated a historical moment on Sunday, walking from what is now Channing House on Webster Street to the school as students, teachers and staff did 100 years ago for their first day of school at their new campus. 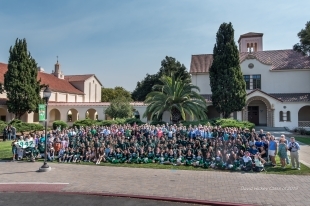 The Paly dance and cheer teams, band and alumni, many wearing Viking green, as well as administrators, school board members and local and state elected officials made their way through Palo Alto streets on a sunny, celebratory afternoon. The march is part of a series of activities this year to celebrate Paly's centennial. Paly partnered with the Palo Alto Historical Association to organize the re-enactment. 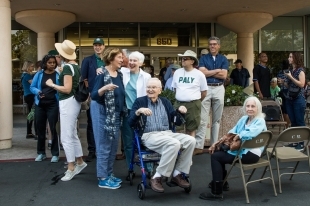 The oldest participant on Sunday belonged to the class of '42, according to Paly librarian Rachel Kellerman, who is on the school's centennial committee. After the march, participants recreated a photo the group of students, teachers and staff took in front of the Tower Building in 1918. They also dedicated the area between the new Performing Arts Center and the longtime Haymarket Theatre as "Centennial Plaza." The plaza will include monuments to Anna Zschokke (pronounced SHAW-key), known as the "mother of Palo Alto schools." 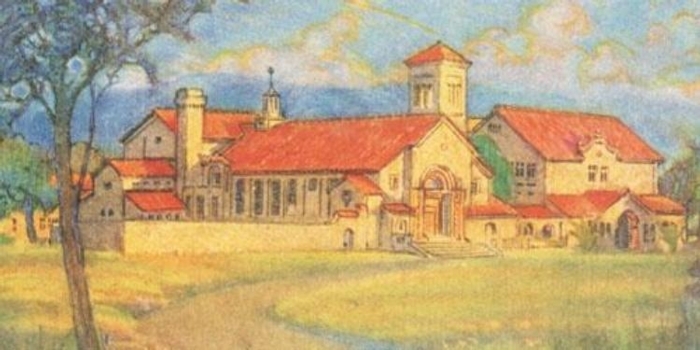 Zschokke, one of Palo Alto's first residents, spearheaded the creation of Palo Alto's first public school and built the first high school building by mortgaging her home. 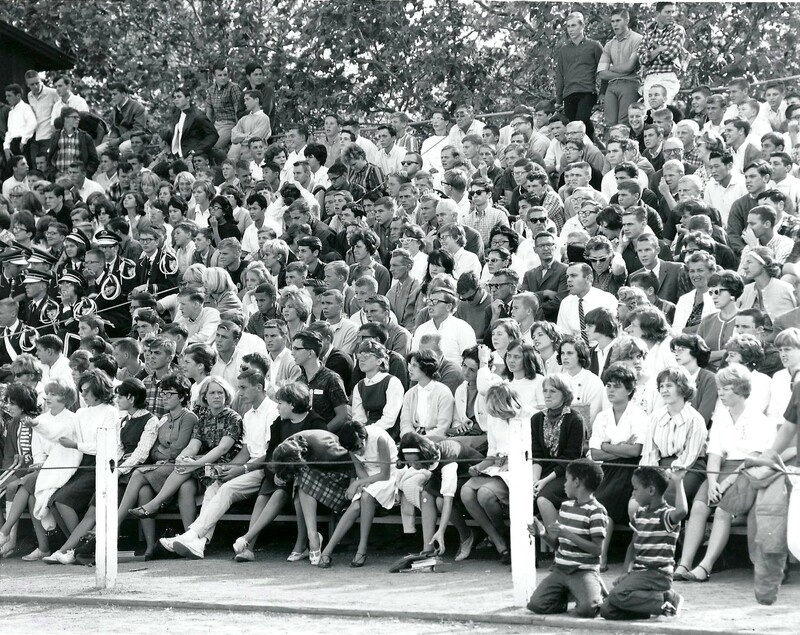 Members of Zschokke's family attended the event. U.S. Senator Ron Wyden of Oregon, a Paly alumnus, gave a speech. He "lauded strong courageous women leaders from the past to present day," Kellerman said. There were also student performances and the debut of a choral piece written by Paly alumnus Christopher Tin, a Grammy award-winning composer. "Of course," Kellerman added, "there was birthday cake." 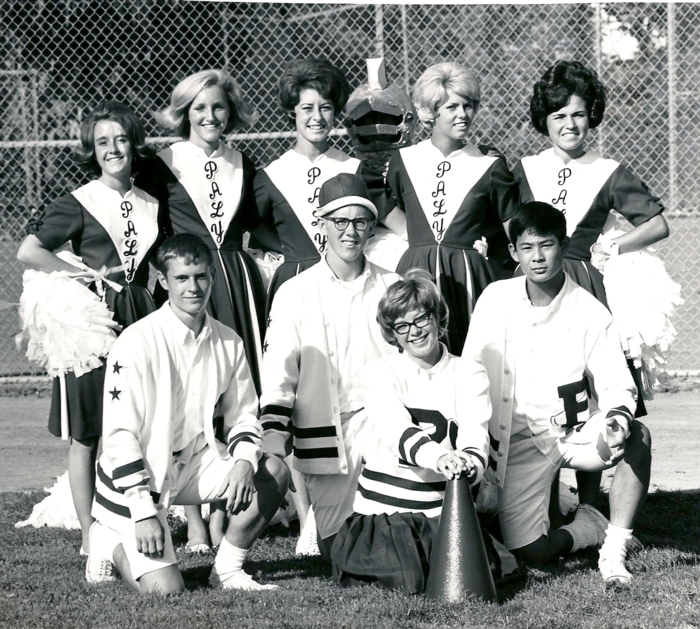 Paly's centennial committee is working to involve other school departments and bodies, including drama, history, English, athletics and journalism, in centennial events. Students are also organizing an alumni speakers program and will design a centennial T-shirt, among other projects. In March, there will also be a celebration of student newspaper the Campanile's 100th birthday and a ticketed centennial gala. 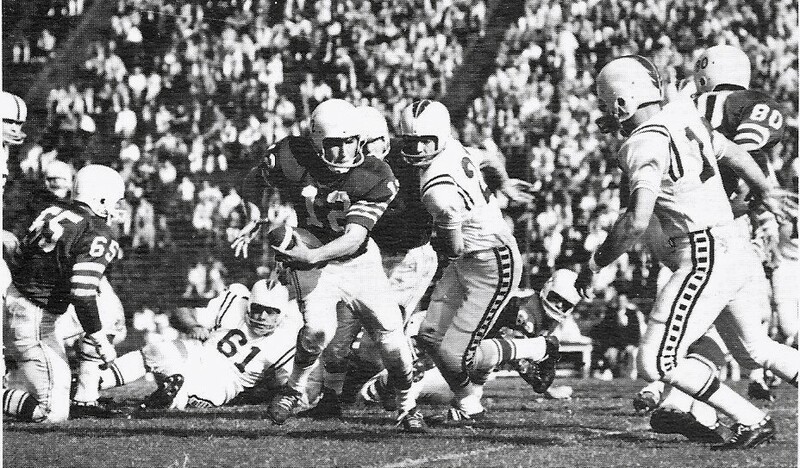 For more information about Paly's centennial activities, go to paly.net/centennial. Paly Journalism Project: Now Complete! Every Campanile, Madrono etc is now completley digitalized. Everything since 1895! CENTENNIAL GALA in the eveing at Lucie Stern celebrating the first class that graduated in February, 1919. Tickets will be available closer to the date. For updates please refer to Menu drop-down items under "Centennial News and Articles"
Thanks for your help and participation. We look forward to seeing you soon. 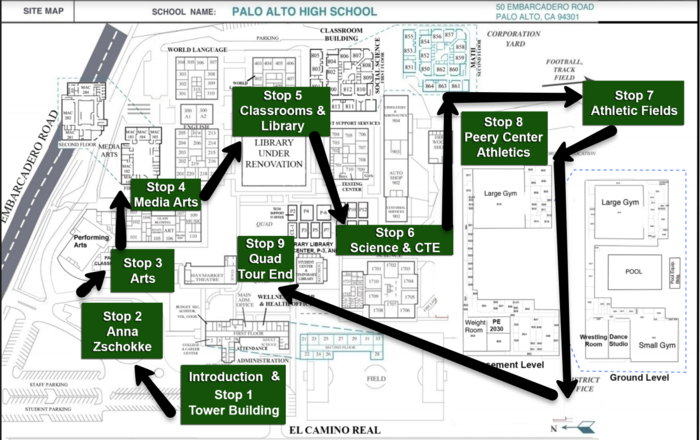 Welcome to the Palo Alto High School Campus Tour! Visit Paly and enjoy the tour in person, or on your phone or tablet. The campus map lists tour locations. Move to a location and click on the corresponding information on the map to learn more about Paly’s past, present and future. But first, a little history. 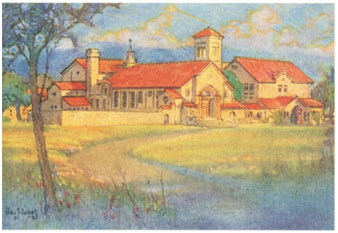 Palo Alto incorporated in 1894 and owes its existence to David Starr Jordan, the then President of Stanford University who offered the 30 acres at $1.00/acre, so it’s no surprise that its earliest residents sought the best education for their children. Palo Alto High School March to the New School on December 24, 1918. Watch the video for some history! You can link to the playlist on YouTube from here https://goo.gl/ULTEGt or click on the highlighted links below. The Tower Building and Haymarket Theater are the only original buildings on campus. New and remodeled buildings reflect their distinctive architectural details. 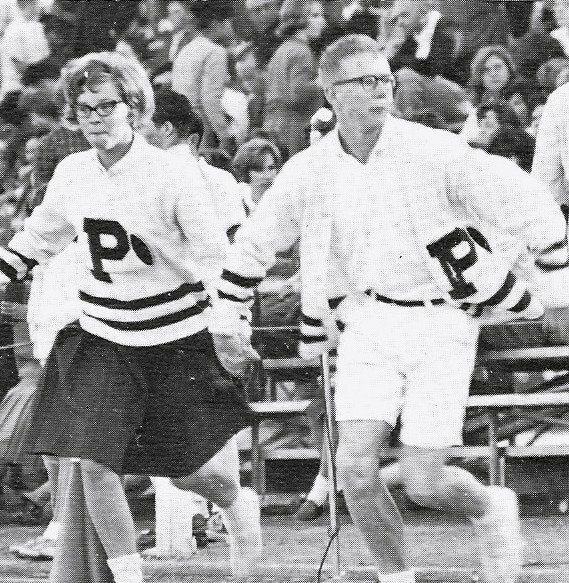 Learn more about Paly's past present and future by listening to this history of the Tower Building. You can link to the playlist on YouTube from here https://goo.gl/ULTEGt or click on the individual links below.